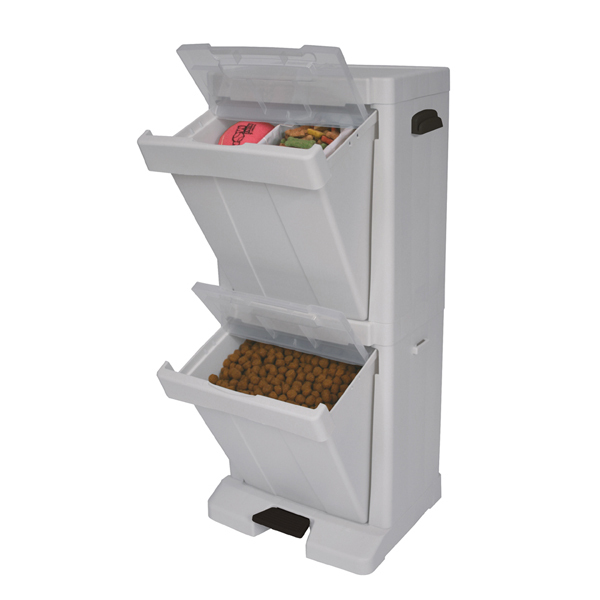 Store your pet supplies in this great tower. 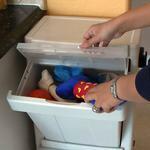 Snap-lock lid keeps odor and freshness in and pests out. Side hooks keep pet leashes and bags within easy grasp. 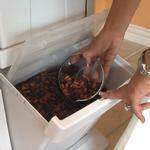 Food bin holds approximately up to 15 lbs of dry kibble. Includes 1.5 cup food scoop. Easy to assemble; instructions included. 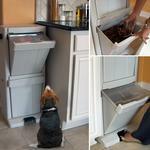 Because pets are part of the family too, they need a spot to store their personal items. The Pet Stuff Storage Tower is the perfect solution for storing dry food, treats, toys, and more in one easy location! 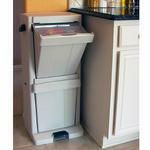 The tower contains two storage bins with snap-lock lids to keep food fresh and lock in odors. Bottom bin has a foot pedal for convenient hands-free access to pet food. Side hooks hold leashes and bags. 1.5 cup food scoop included. Assembly required. Loved the product. Company did everything right. It was I who order the wrong size boots for my dog.